It's a well designed tool to convert Lotus Notes emails into Adobe PDF file format. Software is able to migrate all mails from inbox, sent, outbox, drafts into PDF file format. During the conversion of Lotus Notes NSF mails to PDF file software manage the data integrity of content. It saves the entire HTML formatting of Emails such as Inline Images, text fonts, graphics etc. No need to worry about the Meta attributes of Lotus Notes emails while convert it into Adobe PDF form. It holds the entire associated attributes of mails such as sender, recipient ID, BCC, subject, date and time. Software display real time conversion process, yes users can view each and every mail conversion from NSF to PDF file format. It shows the complete detail of conversion status and items to be converted with subject. Best part of the NSF to PDF Converter is to scan the all Lotus Notes emails after loading the NSF files. It checks the configuration setting of Lotus Notes and extracts all Lotus Notes emails from targeted file. 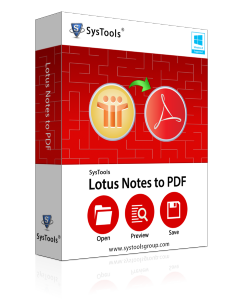 By Using Free Demo Edition Product offered to Convert first 10 Email from Lotus Notes to PDF format. Will software also convert email attachments of NSF file in PDF format? Yes, software help to convert NSF email attachments into PDF format but they will remain in original file format like doc files will remain in Doc files in PDF format too. What is the size limit of NSF file to be used with tool? The tool do not possess any size limitation on NSF files to be used with tool, users can load NSF file of any size to convert emails as PDF format. 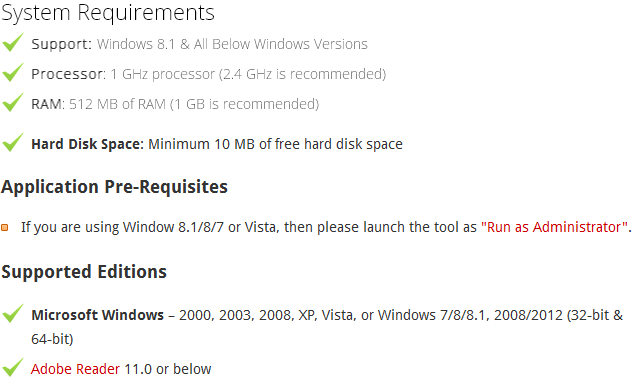 Can we run this tool on latest Windows 8? Do we need to have Adobe Acrobat application installed on system to convert NSF to PDF? No, You need to only have Adobe Reader to 11.0 and below version to export NSF emails as PDF format. The tool works fine without installing Adobe Acrobat application in user system. I have only one word to say about tool that is SUPERB, it helped me to convert more than 500 NSF emails in PDF files without facing a bit of issue. I have never seen such fabulous tool that provides such great results. Keep it up guys! Via this column I would like express my heartiest thanks to the makers of Lotus Notes to PDF converter tool that helped me to convert only inbox folder from NSF file to PDF files. I do not face any issues during process the tool is so advanced and integrated with latest techniques that provides accurate results. My views for Lotus Notes to PDF converter tool are Excellent, superb and best. I have successfully exported all NSF emails as PDF files with embedded attachments. The interface is just meant for beginners. Thanks guys! What I like most about tool is it creates separate PDF file for each NSF file email that I have now saved on my hard drive. It only takes a couple of minutes to convert emails as PDF files, really impressed with working of tool.